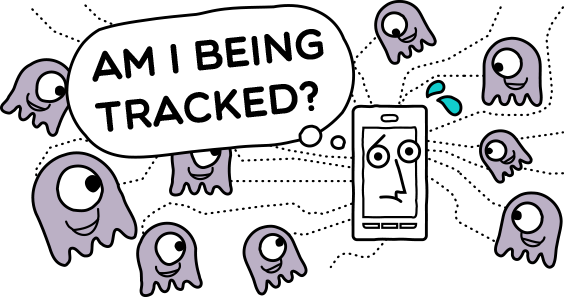 Am I Being Tracked (AIBT) is an Access Now project that allowed users to test their devices to see if they were being tracked by their mobile carriers. In 2014, security researchers revealed that mobile carriers in the U.S. were secretly monitoring the web browsing habits of their users. In the wake of this revelation, we developed this project to call attention to the practice and to better understand tracking headers. Our test is no longer live, but we provide resources on this archived site for researchers, technologies, and people who would like to learn more about their privacy. Download the full report to get a closer look at what we found about the use of tracking headers worldwide and our recommendations for governments, carriers, websites, intergovernmental bodies, and researchers. We released the code for our testing tool on GitHub to enable others to further our research and provided a key insight into how companies were using these data. This iframe contains the logic required to handle Ajax powered Gravity Forms. By signing up, you’ll receive action alerts and newsletters from Access Now. Verizon was fined $1.35 million by the Federal Communications Commission for the use of tracking headers through our campaign and the work of researchers, advocates, and courageous journalists. Our report was widely covered in international media around the world. We were able to directly pressure telecommunications companies to improve their data practices. We educated hundreds of thousands of users about their privacy rights. Questions? Visit our FAQ about tracking. If you are a researcher and would like to carry on this work, please contact info@accessnow.org.